This article explains how to set up the Multi-Carrier Shipping Plugin for WooCommerce to get real-time shipping rates from UPS, USPS, FedEx, Stamps.com, and DHL. It is a complete guide to using multiple shipping carriers on your WooCommerce store along with WooCommerce Flat Rate and Free Shipping based on factors like Weight, Quantity, and Price. The APIs of major shipping carriers like FedEx, UPS, USPS, Stamps, DHL, etc. provide real-time domestic and international shipping rates for store owners. This information helps store owners to display competitive shipping rates to their customers. Each shipping carrier has varied shipping services which can be accessed by a dedicated plugin for that carrier. How about one plugin which calculates shipping rates of five major shipping carriers? The Multi-Carrier Shipping Plugin for WooCommerce provides real-time shipping rates of FedEx, UPS, USPS, Stamps USPS and DHL Express shipping carriers. You can create business rules based on various parameters such as the shipping class, product category, rates based on weight, item quantity and price. The major advantage of this plugin over independent shipping carrier plugin (like FedEx, UPS and so on) is the ability to fetch real-time shipping rates from five major shipping carriers. Since it is a single request and you receive multiple responses, it is relatively faster than independent shipping carrier plugins. Also, the plugin allows you to set custom rules based on your requirement, with greater flexibility than the individual shipping carrier plugins. This article intends to provide detailed, step-by-step instructions that’ll help you set up this plugin. Your Email ID to get the free Shipping API Key. Create accounts in FedEx, UPS, USPS, Stamps USPS and DHL Express. After purchasing the Multi-Carrier Shipping Plugin for WooCommerce, the plugin will be available as a zip file in the API Downloads section of your MY ACCOUNT page. Download the zip file from API Downloads by logging into your XAdapter MY ACCOUNTS page. Once the activation is successful, two new settings are displayed in the Shipping settings of WooCommerce. Area Name: Allows you to set a customized area name. List: Contains possible selections by the type of area list selected. To create a new area, click the Add button. 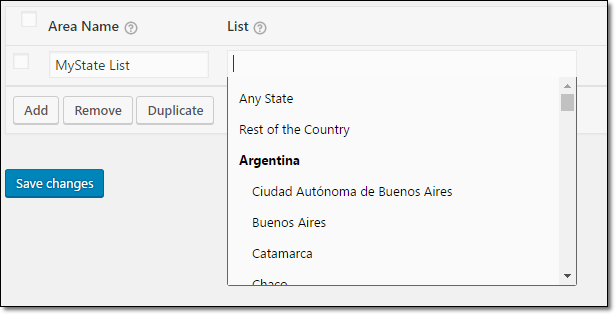 A new window pops up that allows you to select the type of area list. 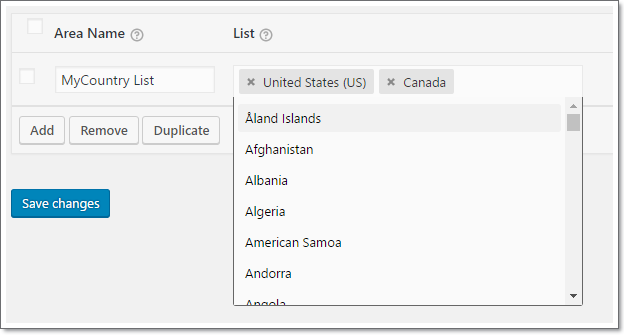 Country List: Allows you to select countries where you ship your products. State List: Allows you to select states to create a new area. Postal Code List: Allows you to enter multiple postal codes. Read more about how to set up the Shipping Area Management for different shipping scenarios based on WooCommerce Shipping Zones, Countries, States, and Postal Codes. To activate the plugin, you need to enter the Plugin License Key and the License email ID used for the purchase. You can find the Plugin License Key in the order completion email or in the API Keys section. *Note: You can skip entering the License Keys while testing the plugin in the Test Mode. However, the License key is required while using the plugin in the Live Mode. Enable/Disable: Tick the checkbox to enable this shipping method. Shipping API Email ID: Enter your preferred email address to enable the shipping API. 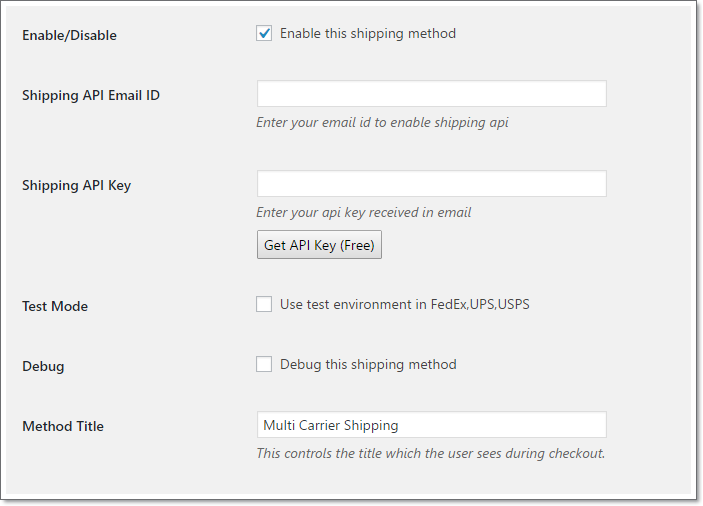 Shipping API Key: Once the email ID is entered, click the Get API Key (Free) button to receive the API key. Enter the key in the given text box. Test Mode: Enable this option to run the plugin in the test environment. The test credentials are provided by the respective shipping carrier. Note: To run this plugin on a live website, replace the test credentials with live credentials provided by the respective shipping carriers and disable the Test Mode. Debug: If you are not getting proper rates (lesser or higher than expected), all the available shipping options, or no rates at all, enable Debug option to find the error(s). You can also see the warning(s) by the plugin. By enabling debug mode, you can trace issues using log. See information about debugging at the top of the Cart and Checkout page. After enabling debug mode, add a product to cart. Go to cart or checkout page to see the debugging information. Method Title: You can set your preferred method title. This title is visible in the cart/checkout page under shipping options. To access this setting, head to Shipping Area Management section. Origin City: Enter the specific city name. Origin Countries: Select the country where your shipping address is based. Origin State Code: Select the state corresponding to your country. Origin Postcode: Enter postcode of your shipping address. Origin Phone Number: Enter your contact number. To get the API access, you need to have FedEx credentials for the Test Account as well as the Live Account. By using the Test Account details, you can get real-time rates. After successful testing, contact FedEx to get the Live access. 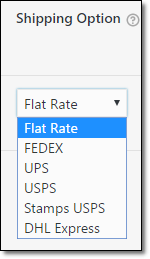 The Multi-Carrier Shipping Plugin needs the following information to get shipping rates from FedEx. Once you successfully create an account in FedEx, you receive the test credentials in your email. These credentials include FedEx Account Number, FedEx Meter Number, and FedEx Web Services Password. To receive FedEx Web Services Key, follow the link in your email or login to your FedEx developer account. Here’s how you can create FedEx account and access API credentials. The UPS Settings follow the same path. Create an account in UPS to receive test API credentials. 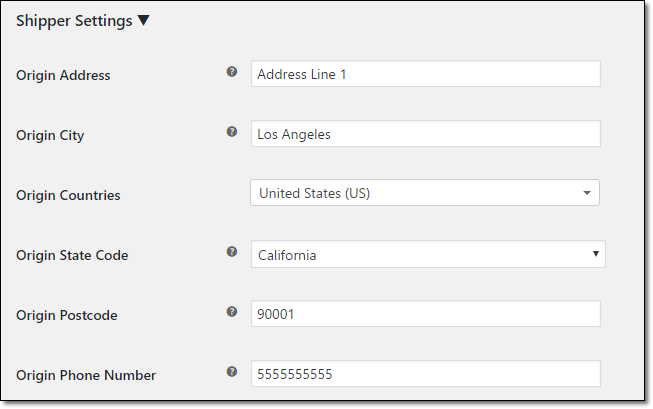 The following information is required to access shipping rates in the Multi-Carrier Shipping Plugin. Enter your Test credentials for UPS User ID, UPS Password, UPS Access Key and UPS Account Number provided to you once you have created a UPS developer account. Create an account in USPS to receive your credentials. The Multi-Carrier Shipping Plugin requires two important credentials; USPS User ID and USPS Password. To receive these credentials, create an account in stamps.com. Enter the Stamps USPS User ID and Stamps USPS Password obtained after successful creation of your stamps account. The following DHL information is required for accessing shipping rates in Multi-Carrier Shipping Plugin. Enter your DHL Account No., DHL Site ID and DHL Password as obtained from DHL. Method Title: Allows you to set customized shipping method title (i.e FedEx Standard, Priority Shipping, etc.) for the rule. Each rule will be identified by its method title. Area List: This list contains all the Area Names created in the Shipping Area Management. *If you haven’t created any area in the Shipping Area Management section, this list will be empty. 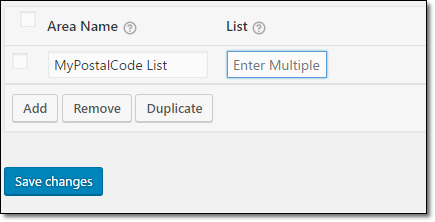 *Make sure you create areas in the Shipping Area Management section before setting up a rule matrix or the plugin will not save the shipping rules that you have set. Shipping Class: The Shipping Class attribute contains all the created Shipping Classes in your WooCommerce settings. Remember to create shipping classes before setting this in the rule matrix. Product Category: This attribute contains all the product categories that you have created in your WooCommerce settings. Make sure you have created product categories before selecting values in this attribute. Based on: Allows you to calculate the shipping rate based on 3 characteristics: Weight, Item Quantity or Price of the products. 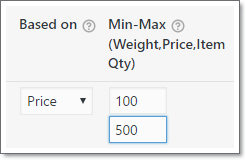 Min-Max (Weight, Price, Item Qty): Based on the characteristics you select for calculating shipping rates, you can set a range for the same. That is the range for product weight, product quantity or product price. Cost (Flat Rate): This amount will be used as a flat rate or added to the rates received by the carrier in the respective rule. Cost Per Unit: Using this, you will be able to adjust shipping rates based on per unit weight, price or quantity of products that are in the cart. The image below shows the option to add the shipping cost per unit based on the factor selected. Flat Rate ~ For setting standard Flat Rate or Free Shipping for products. FedEx ~ For using real-time FedEx shipping services. UPS ~ For using real-time UPS shipping services. USPS ~ For using real-time USPS shipping services. Stamps USPS ~ For using real-time Stamps USPS shipping services. DHL Express ~ For using real-time DHL Express shipping services. Service: Allows you to select your preferred shipping service based on the selected shipping carrier in the Shipping Option list. You can select the services based on your requirement. For more information about the services, check the respective websites of the shipping carrier. In order to get shipping rates on your cart page, you need to set up shipping rules based on your shipping scenario. Let us consider a simple example. I require shipping rates based on weight for domestic and international destinations, for UPS, FedEx & USPS, for the following services. Also, apart from that, I want customers to have a Free Shipping for Order Weight above 100 lbs. Hence, the following rules would provide the desired results in this case. Please make sure you have created shipping rules based on your shipping requirements. Note: If you have not set up shipping rules, you will not be able to get any shipping rates on the cart page. This option helps in grouping different shipping methods. It allows you to display multiple shipping methods, one for each group, on the cart and checkout page. This option allows you to identify the address as a residence, instead of a business address. 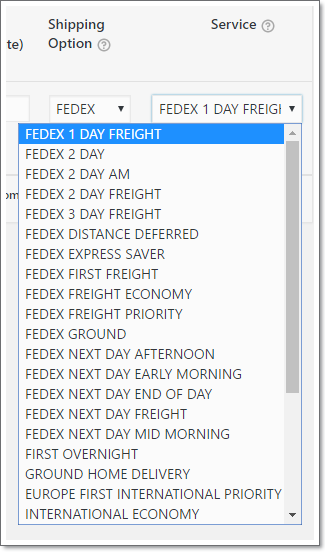 This option is useful in the case of FedEx. Specifying the address as Residencial is liable for extra charges. Read more about this in FedEx website. This option allows you to define how items will be packed. This information will be used by the shipping carriers to calculate total shipping charges. Default: Pack items individually – This is the default setting, which enables the shipping carriers to pack items individually regardless of product weight and dimensions. 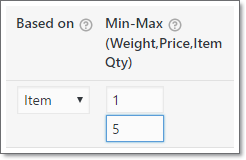 According to the requirement, you can add or remove the box dimensions. You can also enable or disable a particular box by selecting or deselecting checkbox under Enabled. Apart from custom boxes, the plugin also supports FedEx Standard Boxes. Hence, you can choose from various FedEx Standard Boxes and get shipping rates based on that. Weight-based: Calculate shipping on the basis of total weight of the order – Calculates shipping rates based on the weight of the parcel. Once you select this option, two new options will be enabled; Max Package Weight and Packing Process. The Max Package Weight option allows you to set the weight limit of one package. Once the limit is exceeded, a new parcel is added for other products. The Packing Process option allows you to define how items should be packed. There are 3 possible choices with which you can – Pack heavier items first, Pack lighter items first or Pack purely divided by weight. The Tax Status option allows you to charge taxes for the shipping rates. Select Taxable option if you want to tax the shipping rates. Remember to set tax calculations in your WooCommerce Tax settings. Else, select None option for not taxing the shipping rates. If the shipping service you selected is not available in that country, the shipping rate will be calculated based on Fallback Rate. The rate is added for every unit of product that does not fall on any shipping service. Per Unit Weight: Based on the weight of each item, the fallback rate is calculated. Per Unit Quantity: Based on the number of items, the fallback rate is applied to each item regardless of its weight and dimension. Now that you have understood the plugin configuration, you can check out how Multi-Carrier shipping plugin works. For some reason my shipping always says $250. it does not matter what service i use, fedex, ups, usps. I’ve followed all the instructions, yet I do not get any shipping rates or methods in my cart. Can you enable the debug option in plugin settings page and then try to place an order? You will get a request and response. You will be able to make out the problem from that. If you are still not getting it, just raise a ticket to our support and provide us access so that we can quickly fix this.